Wizzair UK Limited Airbus A320-200 FSX for the FAIB A320-200 IAE_S FS9 base model. These are FS9 textures only. FAIB A320-200 IAE_S FS9 base model are required. Wizzair UK Limited Airbus A320-200 FSX for the FAIB A320-200 IAE_S FSX base model. These are FSX textures only. FAIB A320-200 IAE_S FSX base model are required. Wizzair UK Limited Airbus A321-200 FSX for the FAIB A321-200 IAE_S FSX base model. These are FSX textures only. FAIB A321-200 IAE_S FSX base model are required. 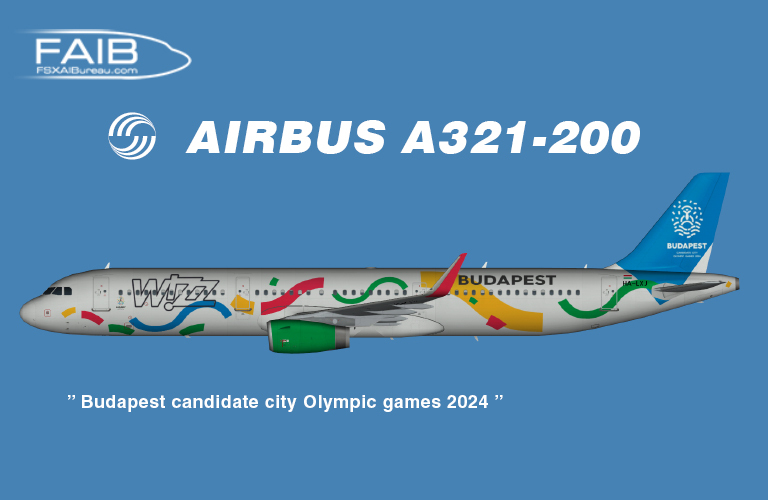 Wizzair Airbus A321-200 “Budapest candidate city Olympic Games 2024” FSX for the FAIB A321-200 FSX base models. These are FSX textures only. The FAIB A321-200 FSX IAE base models are required. 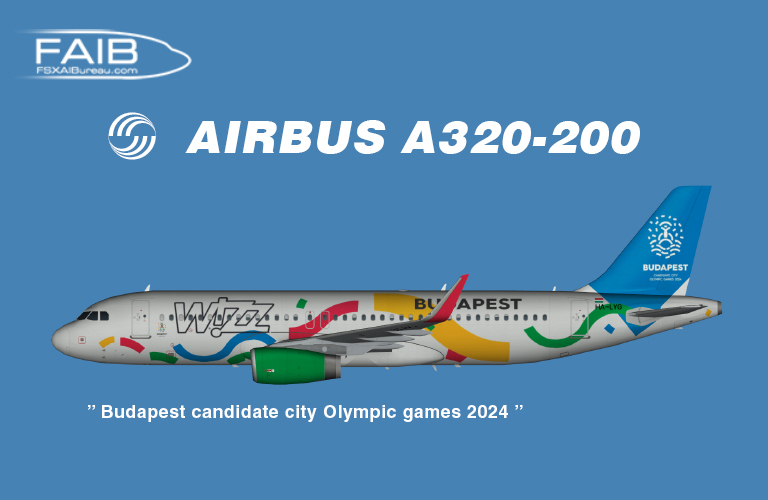 Wizzair Airbus A320-200 “Budapest candidate city Olympic Games 2024” FSX for the FAIB A320-200 FSX base models. These are FSX textures only. The FAIB A320-200 FSX IAE base models are required. Wizzair Airbus A321-200 FSX for the FAIB A321-200 IAE_S FSX base model. Wizzair Airbus A321-200 FS9 for the FAIB A321-200 IAE_S FS9 base model. These are FS9 textures only. FAIB A321-200 IAE_S FS9 base model are required. Wizzair Airbus A320-200 New Livery FS9 for the FAIB A320-200 FS9 base models. These are FS9 textures only. The FAIB A320-200 FSX IAE base models are required. Wizzair Airbus A320-200 New Livery FSX for the FAIB A320-200 FSX base models.